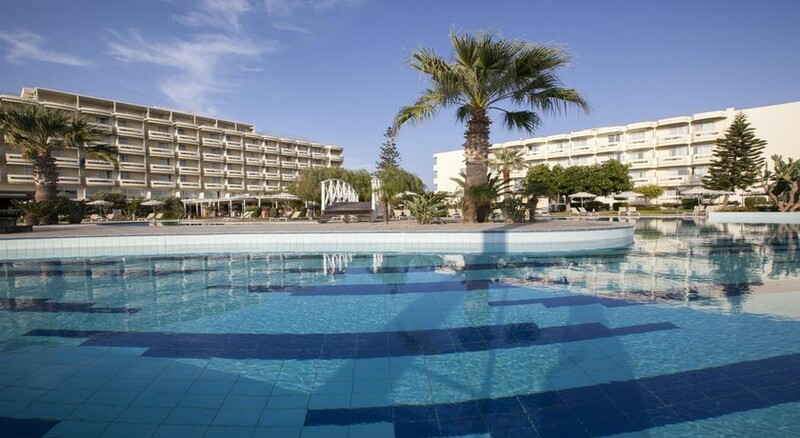 Electra Palace Rhodes is an all-inclusive family friendly 5-star hotel situated on the Trianda long sandy beach, and is about 8 kilometres from the ruins of the ancient Lalyssos city. Sitting on the water’s edge, the hotel offers magnificent sea views. Featuring a private beach, a wooden sun-deck, an array of different restaurants serving varied cuisines, signature bars, a delightful spa, Indoor heated Pool with hydro jets, a crèche and children’s club, it invites guests to immerse into a world of luxury amidst incredibly scenic surroundings. The elegant rooms with sea, pool or garden views and come equipped with air-conditioning, tea/coffee makers, minibar, satellite TVs, and en-suite luxury bathrooms with bathrobes, slippers. Guided by 5 elements-- Revitilization, Relaxation, Gastronomy, Culture and Music—the hotel is an excellent choice of accommodation. Electra Palace Rhodes is located just 8 km from the acropolis of Rhodes, in a quite part of Lalyssos on the Trianta beach. The ruins of ancient Lalyssos are few minutes’ walk away. Souvenir shops, cafes, restaurants and bars are located about 3km away. The Rhodes international airport is at a distance of 6.7 km from the hotel. 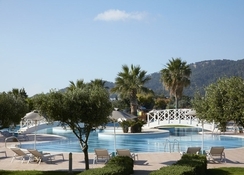 The hotel offers a total number of 309 rooms for its guests. Guests can choose from Classic Rooms, Superior Guest Rooms, Sea Front Superior Guest Rooms, Junior Suites, Family Suites, Deluxe Seafront Suites and Superior Family Suites. Elegant and tastefully furnished rooms at The Electra Palace with sea, pool or garden views and come equipped with air-conditioning, tea/coffee makers, minibar, satellite TVs, and en-suite luxury bathrooms with bathrobes, slippers. Guided by 5 elements-- Revitilization, Relaxation, Gastronomy, Culture and Music—the hotel looks forward to offer guests a memorable stay in utmost luxury. Electra Palace Rhodes offers a clutch of lovely restaurants and bars to please palates from all over the world. International cuisine, Signature breakfast and the themed menus are served buffet style at ‘Cuisines of the world’. Similarly, there are Asian Fusion, Al Convento, Orientalista and Sugar Cube that serve distinct flavours from other parts of the world. H20 Pool Bar, Philoxenia Bar,Lounge Bar, Sea-Cret Bar and Waves Beach Bar are some of the venues where guests can relax with a drink. Electra Palace Rhodes has a swimming pool and kids’ pool and terrace besides access to the private beach. There is a fully equipped gym for those who wish to stay active. There is a lovely spa with steam room and hammam offering massages and therapies. Tiny tots can have fun at Kid’s Club or Playground. The hotel has facilities for Darts, Table tennis, Games Room and Billiards. Guests can also shop at the shops on-site. There is lively evening entertainment too.